In addition to all of the fine papers, addresses, and receptions, the 2016 meeting will offer an array of tours on Saturday, October 1st. With multiple morning, afternoon, and all-day tours, participants will have plenty of opportunities to get better acquainted with New Orleans and surrounding areas. Scheduled for the morning is a bus tour of New Orleans mid-century modernist architecture with SESAHer Karen Kingsley; a French Quarter to St. Louis Cemetery No. 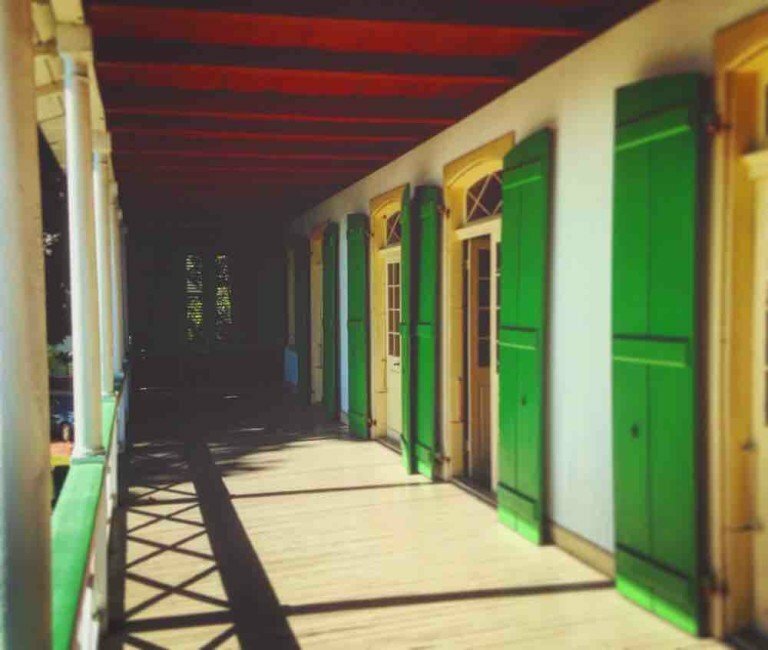 1 walking tour with two special behind the scenes interior visits with local architectural history and conservation experts; and a venture to the Bayou St. John neighborhood with stops at the Creole colonial Pitot House, nearby St. Louis Cemetery No. 3, and the Beaux Arts New Orleans Museum of Art. In the afternoon, tour goers can switch gears or continue on parallel themes with an exploration of the contemporary design of the World War II Museum by Bart Voorsanger or an examination of the preservation and adaptation of two French Quarter buildings by The Historic New Orleans Collection. For those intrepid architectural history adventurers, all day excursions will go out of the city. Gerald McNeil will guide a bus expedition from the Holy Cross and Lower 9th Ward neighborhoods into “Da Parish” of St. Bernard. Laura Blokker will lead a bus trip along the Mississippi River to visit four plantations. Self-guided walking tours will provide even more ways to explore. More tour details and registration information will be available soon, so get ready to choose what great architecture you want to delve into.